You are here: Home » Latest News » Gate Operators: Electromechanical or Hydraulic? Gateway automation is a leap forward in convenience, comfort and security for your home or business. It’s great to be able to open and close gates remotely from within your vehicle, especially throughout the winter. One important decision, however, is what method of automation you should choose. Let’s take a look at the differences between electromechanical and hydraulic gate systems. Why choose hydraulic gate operation? Hydraulic gate systems use hydraulic fluids and high pressure tubing to generate large amounts of power, typically more than enough to open and close a gate of any size. The advantages of a hydraulic system include that fact that there are fewer moving parts. This means that there are less components to wear over time. Gates with hydraulic systems can be made with non-locking capabilities. This means that when they are not in operation the gates are not ‘locked’ in place by the hydraulics. The notion behind this feature is that non-locking hydraulics protect the system from accidental damage. If a car, for example, runs into the gates while they are closed, the gate’s hydraulics will have a higher tolerance for the sudden impact and will ‘give’ a little. If these same gates were locked in place by their hydraulics, the high pressure seals inside the tubing would be ruptured by the sudden force exerted on them. Why choose electromechanical gate automation? There are four key electromechanical gate types that are connected to the mains electrical supply of your home or business. These are worm-driven (screw type), swing gates, barrier arms and sliding operators. Worm-driven automation, in particular, is ideal for retrofitting to gates at a later date or for fitting to existing gates that are suitable for automation. Electromechanical gate systems are great for durability and reliability, with options to install a back-up battery that trickle-charges from the mains supply. This means that even when the national grid isn’t capable of delivering power to your gates, the gates can look after themselves. Not only is this very convenient, it’s a brilliant safety feature, should you need to exit the property quickly during a power outage. 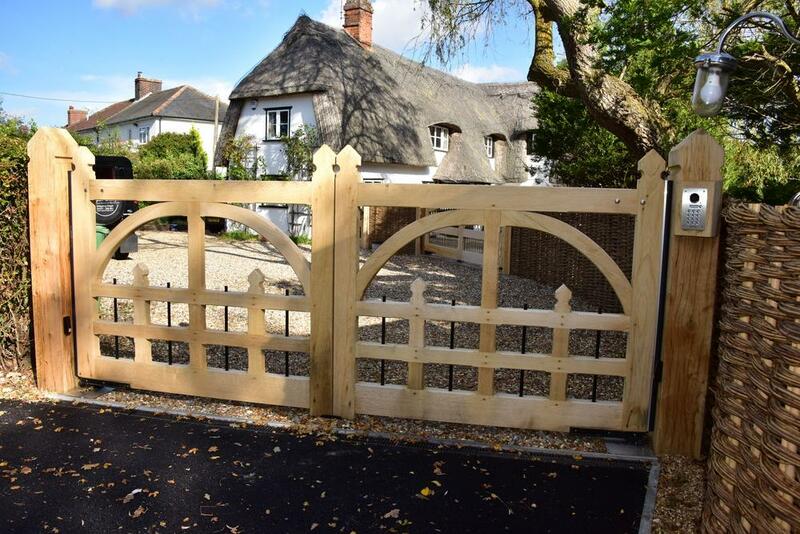 When you are ready to start the process of designing your gate, we will advise on the best course of action, however, it is important to consider your automation options. Now you’ve read our automation pros and cons, check out our handy gate builder and price calculator, to receive a quick and simple guide quote. Strand Systems offer premium gateways and entry control systems to add a luxury touch to your home or business. Not only are our commercial and residential gates available with automation, they’ll improve the look and security of your property instantly. Take a look at our previous electric and mechanical gates for some inspiration on how to make a grand entrance to your home or business. Get in touch today to discuss your gateway project with a professional.